Saprolings you control have +2/+2 as long as you have the city's blessing. My problem with Massacre Girl by the time I usually need a 5 drop for tokens outside a vampire deck which are less and less. 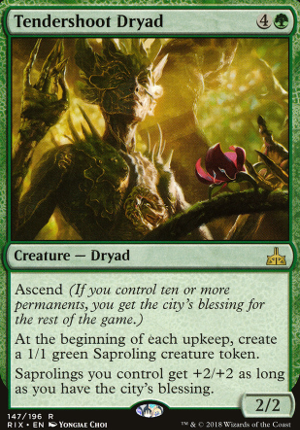 The biggest token issues right now that i see is Biogenic Ooze and I still see alot of Tendershoot Dryad with the cities blessing so unless you combo spell then the -20 -20 is not happening. Maybe against Mono green when they drop carnage and they have all there lanowar elves out. Yes I understand she can be good in the right situation but overall I see her as better side board card against certain decks or if you want a 4/4 with menace then bonus. 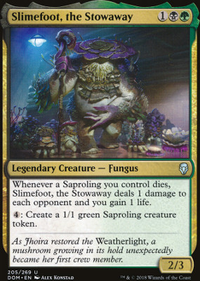 She's not a bad card and she would probably be great in commander deck against an Edgar Markov deck wrecking shop when she hit the field. 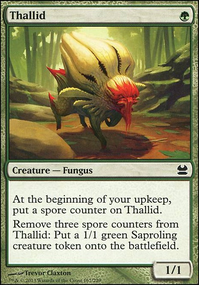 Maybe Tendershoot Dryad instead of Doom Whisperer . This deck actually looks very solid! I don't think there is too much I would change, except that I would definitely add Walking Ballista and Crystalline Crawler which can enable you to have insane combo-esque turns. 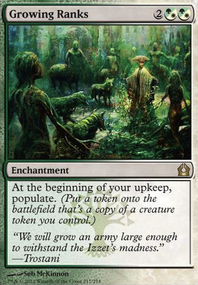 I don't think I personally would lean to hard on the token theme, but having good token makers like Tendershoot Dryad is still important. Wave of Vitriol is also an insane way to not only rid the board of any threats, but go completely over-the-top and destroy people! It's got to be good for like, forty +1/+1 counters at least. Hey, you didn't include a link to your deck or have a Rhys deck in your profile? I think token producers who are creatures or other permanents (Planeswalkers) far outweigh instants and sorceries because permanents can be repeatable sources of token creation much like Rhys himself is. 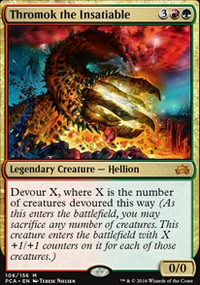 Many repeatable sources of card advantage is one of most important things to have in multiplayer Commander. Walkers survive most board wipes that are played in Commander and board wipes are a big problem for tokens. 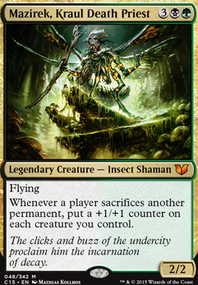 Green gives you a lot of creature tutor options making it much easier to tutor for a specific creature then an instant or sorcery. Rhys is a token producer from the Command Zone so technically you don't need a lot of other token producers, but cards like Mycoloth and Tendershoot Dryad can be no mana cost token engines each turn. Elf ramp is good with Rhys: Priest of Titania , Elvish Archdruid , and Joraga Treespeaker and Walker token producers are good cards to ramp into: Elspeth, Knight-Errant , Garruk Wildspeaker , Gideon, Ally of Zendikar , Freyalise, Llanowar's Fury , Garruk, Primal Hunter , Elspeth, Sun's Champion , Nissa, Voice of Zendikar . 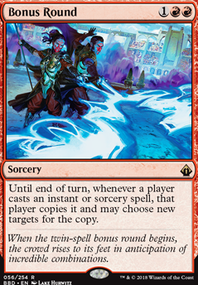 Walkers are busted with Doubling Season which is a good card have with tokens. Knollspine Dragon and Chancellor of the Forge weren't even on my radar, those seem fantastic. Just got a Tempt with Vengeance , so that's great! I already have a Tendershoot Dryad , so perhaps it'll take a slot till I find better alternatives. I've been gravitating towards things like War Cadence , Uphill Battle , Stoneshaker Shaman , Release the Gremlins , Overwhelming Instinct , Druids' Repository and Nacatl War-Pride . Thanks very much mmcgeach. I appreciate it. It's going to be an experiment to see where the balance is, but I think it'll teach me a lot. If you're interested, I'll share the decklist with you when it's up.